Apple iPhone has made its mark in the industry with its unique and top end quality and features but with the competition rising iPhone has to come up with some interesting changes to its iOS and the hardware to stay at the top which is being occupied by android slowly. One such thing which Apple has to do is let users put any song as their ringtone and not keep a specific file format for the Ringtones and the message tones as well. This makes the iPhone users frustrated as you always have to search for ringtones with the specific file format which is the “m4r” specifically made for the Ringtones. You can find ringtones in these formats in many sites around the net, but if you want to make or create a ringtone which suites your personality and taste then you should be following this tutorial which will help you create your custom ringtones using Apples native iTunes itself. Then you have to Control-click (Mac) or Right-click (Windows) on the song you have chosen and select ‘Get Info’ from the many options you see there. 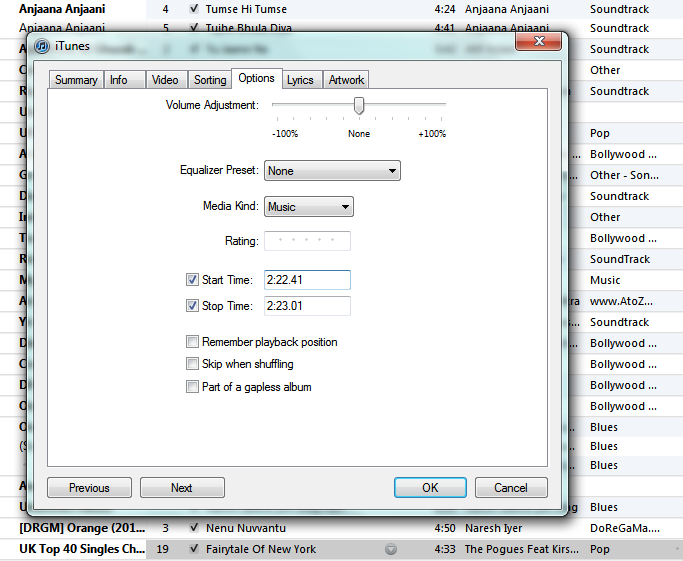 Note: I suggest making a backup copy of the song so you don’t accidentally shorten the song itself. On top you will be seeing many tabs out of which you should select “Options” tab where you will be seeing the Start time and Stop time boxes this is where you should be entering the starting and ending time which you have earlier noted down, after this is done Click “OK” at the bottom right of your box. Note: the Ringtones which you are creating should be 30 seconds or less, if you create a bigger ringtone it wont be accepted. 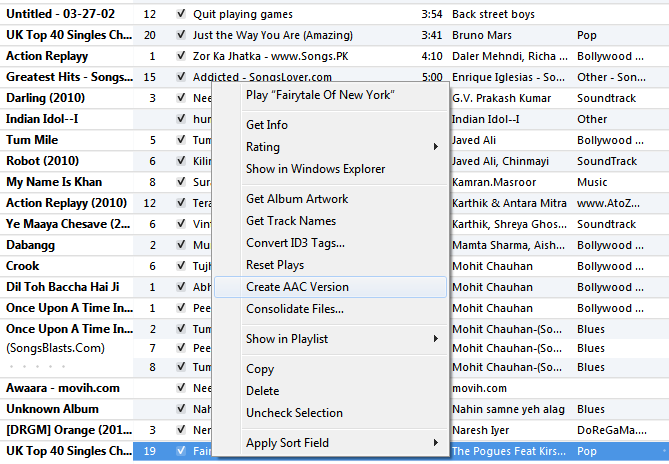 Now you have to go to the songs library and then Control-click (Mac) or Right-click (Windows) on the song again and select “Create AAC version” in the options which pop up and iTunes will convert the song into another copy in AAC format which can be seen right below the original song which we have converted. 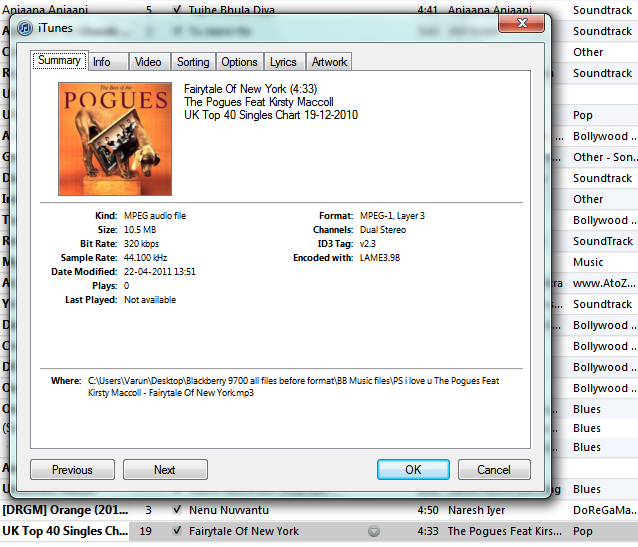 Now Control-click (Mac) or Right-click (Windows) on the song and you should convert the file format from the existing ‘m4a’ extension of the ringtone file to ‘m4r’, a warning will be give about changing the file format which should be ignored and press OK.
Now all you have to do is transfer this file or just double click on this file and it will seen indexed in the Ringtones section. Then just connect your iPhone to iTunes and you can transfer your newly created ringtone into your iPhone. Note: If you have purchased any song from iTunes and want to convert it into a ringtone is not possible, it is called DRM which is the label given to the songs which have been purchased form iTunes. These DRM labelled songs cannot be manipulated and you cannot convert them into ringtones, so make sure you choose songs which are not DRM labelled.